Built by Sam Brannan for the Napa Valley Railroad in 1868 one year before the completion of the Transcontinental Railroad. Second oldest remaining railroad in California. Northern terminus of the Napa Valley Railroad and its successors the Napa Valley branches of the Central Pacific Railroad and the Southern Pacific Railroad. Restored in 1978 by Calistoga Depot Associates. 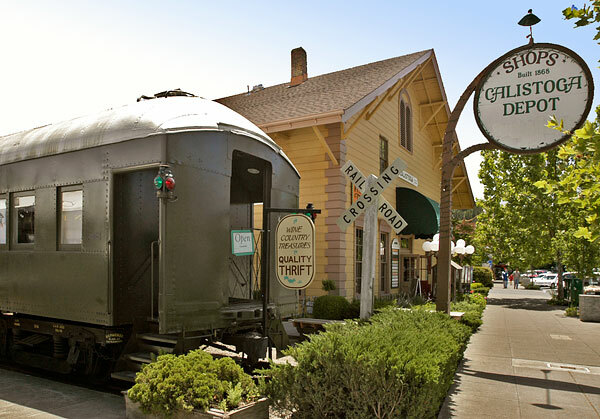 The Napa Valley Railroad Depot is also listing #77000313 on the National Register of Historic Places. The Napa Valley Railroad depot, now the Southern Pacific depot, was built in 1868. Its roundhouse across Lincoln Avenue is gone. 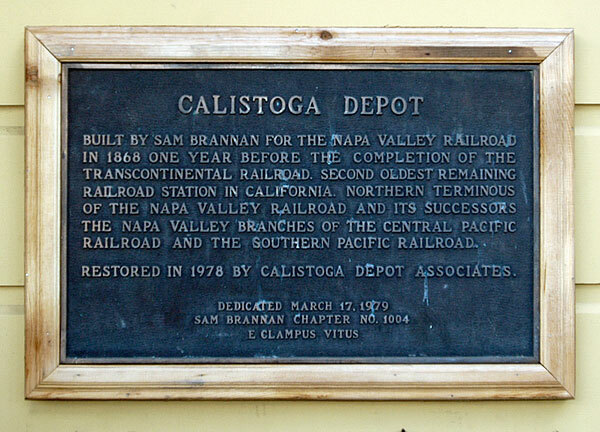 On its first trip, this railroad brought people to Calistoga for the elaborate opening of Brannan's summer resort in October 1868.